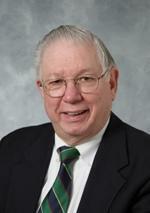 William W. Weber founded the firm in 1968 and is currently of counsel. Attorney Weber practices in the areas of real estate, probate, estate planning, and business transactions. He is a graduate of Trinity College and the Cornell University Law School, where he was elected to the Board of Editors of the Cornell Law Review. Attorney Weber is the Secretary of the board of directors of The Hospital of Central Connecticut, and the Secretary of the Central Connecticut Health Alliance, an integrated healthcare system. He is chair of the latter’s governance committee and serves on numerous other committees for both institutions as well as the Strategic Planning Committee of Hartford Healthcare. He is a past director of CATIC Financial, Inc. and chair of its corporate governance committee. He is also a director of Connecticut Attorney’s Title Insurance Company and the Chair of CennConn Services, Inc. He is director of the Connecticut Enterprise Center and a member of the West Hartford United Methodist Church Parish Committee. Attorney Weber served as a State 3 Prosecutor, Corporate Counsel to the town of Berlin, the City of Britain, and the Mattabassett Regional Sewer Authority. Attorney Weber has served on the American Hospital Association Committee on Governance, as Democratic State Committeeman, as President of the New Britain Chamber of Commerce, as Chair of the New Britain Downtown District, as Director of the New Britain National Bank, as Chair of the New Britain Public Library and as a member of the City of New Britain Civil Service Commission.